Categories: Blue Leis, Fragrant Leis, Graduation Leis, Green Leis, Hawaiian Flower Leis, Men's Leis, Red Leis, Specialty Leis, White Leis, Yellow Leis. 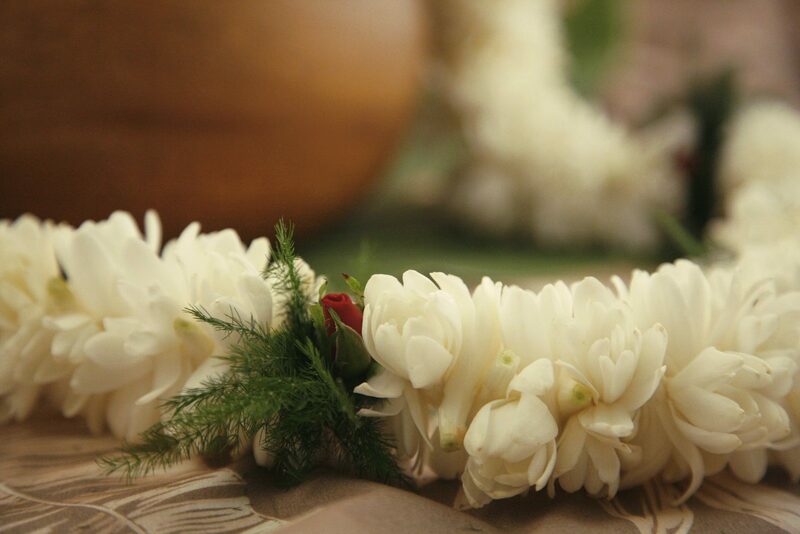 Tuberose lei are made from a showy, white and very fragrant Hawaiian flower. Originally from Mexico tuberose has flourished in Hawaii for many years. The fragrance is very full. Tuberose oils are used for making perfumes. The aroma is not unlike that of gardenia. The flowers are solid white and rather tube shaped, giving the flower it’s name. This is a sensitive lei. You must read our Terms and Conditions prior to ordering. Sensitive leis are not guaranteed to 2 day shipping destinations. 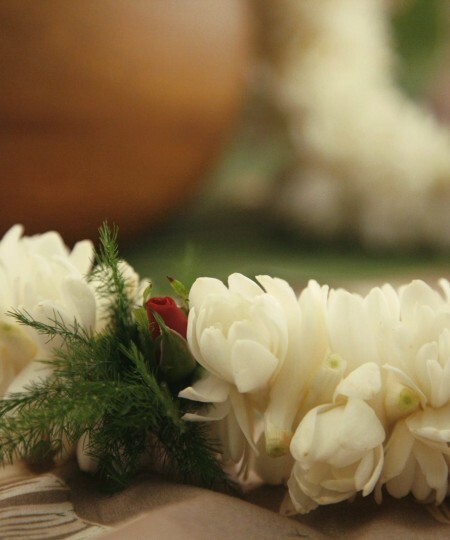 Tuberose leis can be worn by women or men. It is a favorite graduation lei and for weddings. The fragrance can be a bit intoxicating as can fill a room. You may have noticed a slight floral fragrance when you arrive at a Hawaiian airport. This is usually from tuberose which is a favorite for local leis. 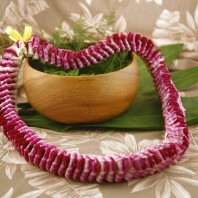 This is considered a ‘sensitive’ lei so please have someone receive and sign for the lei. It should not sit outside after a FedEx drop off. We offer several styles of tuberose lei. The most basic is a single lei. 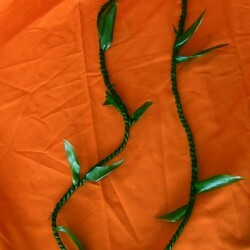 This is a simple lei with a single strand of flowers, about 36 inches around. 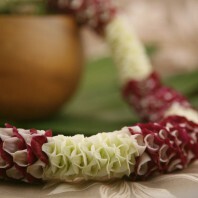 For a fuller lei the double tuberose is sewn rope style with twice as many of the fragrant flowers. 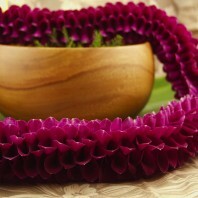 We can also add orchids or carnations to your tuberose lei. This will add some color. We have natural dendrobium as well as color infused orchids in blue, yellow, green and red. Carnation colors may vary according to availability. Looking for leaf and vine leis with tuberose? 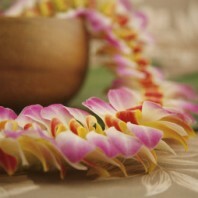 We also make Hawaiian maile leis with tuberose added. Click the link to see maile lei options. We do not ship maile to California due to agricultural inspection issues. We do make ti leaf leis in maile style for those of you in California. 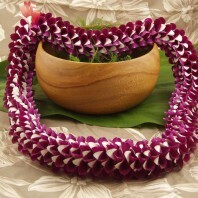 Another masculine style that is popular as a graduation lei is made with ti leaf. 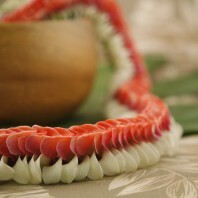 We have several styles of ti leaf leis including those with added tuberose. Visit our ti leaf page to see.